The cornerstone of a quality retirement plan starts with effective plan design. Whether you're looking to maximize owner’s contributions through a Cross-Tested Profit sharing plan or Cash Balance Defined Benefit plan or achieve a 100% participation rate through automatic enrollment, we will implement the most effective plan design possible to help pursue your stated goals. 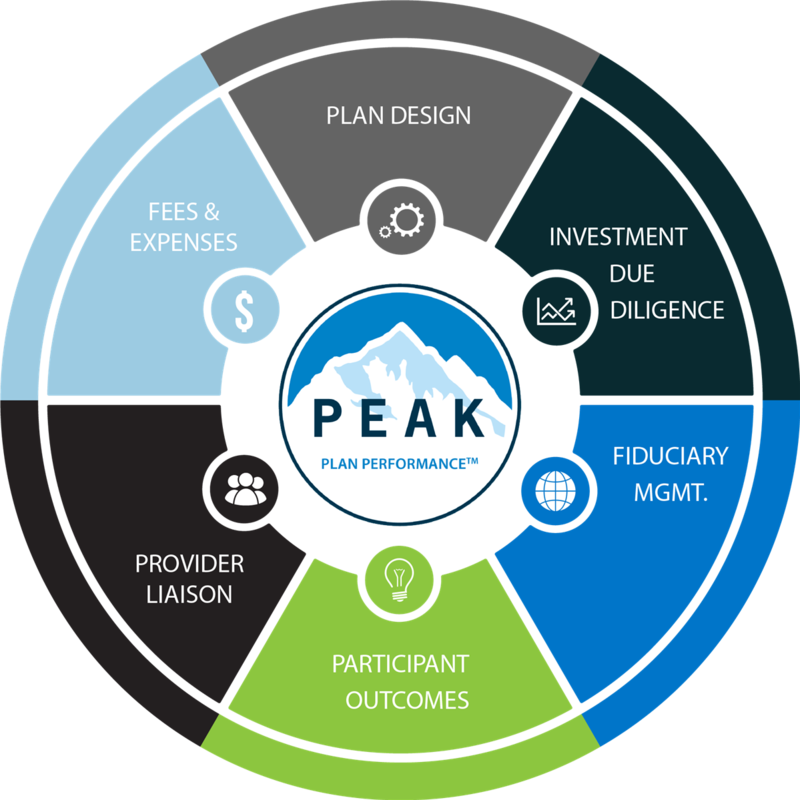 Peak utilizes independent investment due diligence strategies to monitor the performance of your investment line-up. Our open architecture investment platforms provide the maximum choice available to ensure your participants have the best possible investments. We craft a custom Investment Policy Statement for your plan and ensure we follow it. 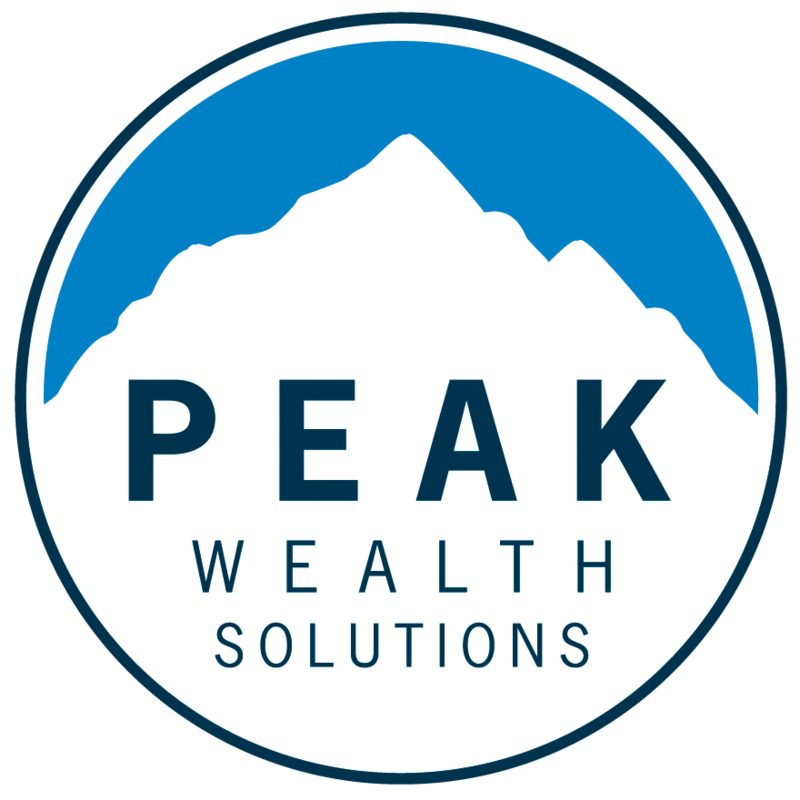 Peak Wealth Solutions will act as a 3(21)(a) Fiduciary to your plan and indicate this status in writing. Our systematic process will ensure procedural prudence and oversight that may greatly limit your Fiduciary liability. We have a passion for assisting participants in realizing their retirement goals and work diligently to find ways to connect and communicate our message to all types of employees. We understand the true success of a retirement plan is measured by the ultimate outcome of participants achieving retirement readiness and having the financial means to enjoy their retirement. We provide group and individual meetings and will customize an education program around your specific goals and objectives. As your primary plan contact, we act as your advocate when dealing with other service providers associated with your plan. We ensure they are doing their job and coordinate interaction between all parties so the plan runs as efficiently as possible. We oversee the administration and record keeping services of the TPA and/or Plan Recordkeeper. As a 3(21)(a) Fiduciary to the plan, we provide full fee disclosure in accordance with 408(b)(2) regulations. In addition, we negotiate and benchmark provider’s fees to ensure our clients are paying reasonable fees for plan services. As an independent RIA, we have ability to work with any provider or vendor in the marketplace. We utilize an objective, systematic process to identify precisely what you are looking for in a provider, and then implement a rigorous due diligence process to narrow the field and ultimately recommend the best provider for your plan. We manage the entire search and conversion process to maximize your time so you can stay focused on your business. A truly successful retirement plan is one that enables your employees to achieve their retirement goals.